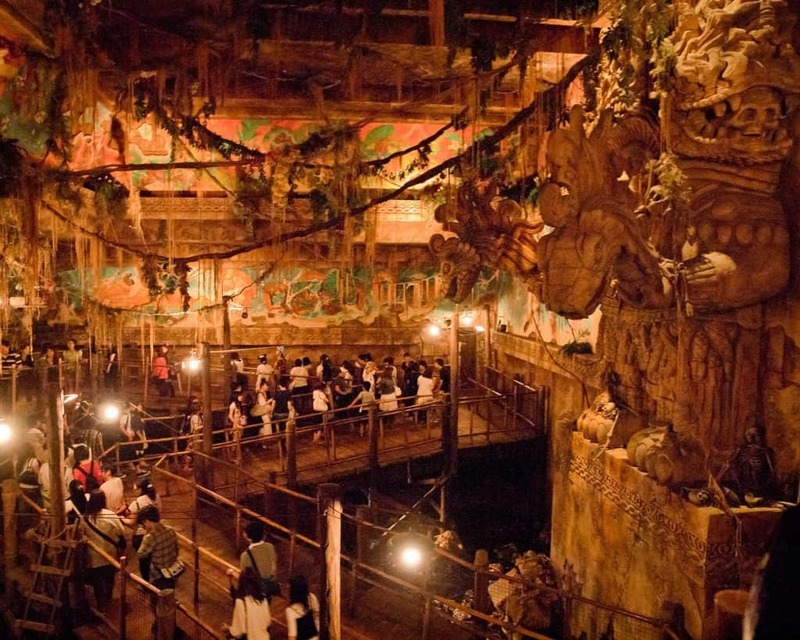 Is Indiana Jones Land coming to Animal Kingdom? Over the past few months, a particular rumor has started to gain traction all across the themed online community, with it seemingly coming to a boil just over the past two weeks. It initially caught our eye, and we’ve been doing our best to monitor it behind the scenes, checking with our sources along the way. And although it seems as if Disney hasn’t officially made up its mind one way or the other at this particular point in time, we – and they – feel confident enough in the information to begin to talk about it openly: it seems as if Dr. Henry Jones, Jr. will be coming to Disney’s Animal Kingdom sometime in the not too distant future. That’s a pretty big statement, even if it’s not a done deal, and it requires a fair bit of analysis before we can even get into the specifics of this already-persistent rumor. Let’s crack our whip and swing into it, Indy-style, shall we? 2017 has proven to be an incredibly massive year for Disney, specifically, and the theme park industry, generally, as it has already been called in many quarters the year that original content has died for good and intellectual properties have reigned supreme. We should probably back up a moment and look at this from the very beginning. 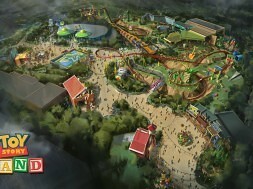 In 2007, Universal won the theme-park rights to a little multimedia franchise called Harry Potter, beating out Disney thanks to its willingness to submit itself to the highly-exacting design demands placed on it by both Warner Bros. and creator J.K. Rowling; rather than the more traditional – and generic – proposal laid out for a Potter Land by the Mouse House, Universal was willing to dive deeply into immersion, fleshing out just one specific location (that’s Hogsmeade Village, but of course) from the source material and building everything else out from there. The success of that approach has only spoken for itself since its opening day of June 18, 2010, earning back its approximately-$260 million price tag in just four or five months. 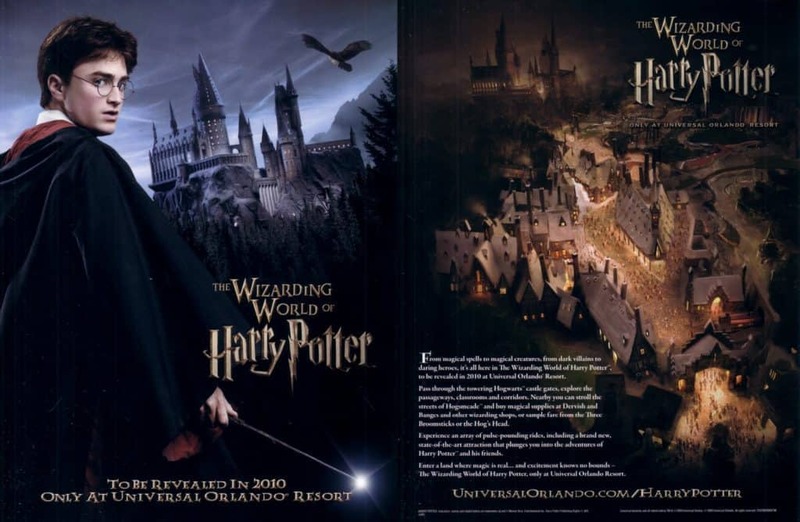 Universal has never looked back – the next two lands it has tackled, 2014’s The Wizarding World of Harry Potter – Diagon Alley and the forthcoming Super Nintendo World, are also IP-based, and they’re also expected to draw in just as much cash (if not more!) than what Hogsmeade has already managed to do. Eager to not repeat the same mistake twice, Disney aggressively went after what seemed, at the time, to be the next big pop-culture landmark, Avatar (a property which Universal was rumored to also be sniffing around). The 2009 movie – the highest-grossing film of all time – would be the basis of a Wizarding World-esque land of its own, right down to the exclusive drinks and unique merchandising options, and, what’s more, it would be made into an even-more immersive experience; Disney would take back the theming crown and deny its increasingly-aggressive competitor the opportunity to expand its IP portfolio in one fell swoop. Even more importantly, however, it would allow the company to inject Animal Kingdom, the newest and most-consistently-anemic park at Walt Disney World Resort, with a brand that had name recognition and true profitability potential (food and beverage sales are truly where it’s at). The last Disney park to not feature any substantial franchise tie-ins would now boast one of the most comprehensive ones in Disney Parks and Resorts’s 60-year history. The fact that Pandora: The World of Avatar’s arrival this past May has only had a negligible impact on Disney World’s attendance thus far is seen more as a matter of using the wrong franchise instead of adopting the wrong approach, and with Hollywood Studios getting new lands based on both Toy Story and Star Wars (and with Magic Kingdom and Epcot receiving new attractions based on Tron and Guardians of the Galaxy, to boot), the Age of the IP is truly here. All of which, of course, explains why Disney is reportedly looking into importing yet another giant brand into Animal Kingdom – and why this one would be a far more lucrative proposal. The $2 billion-grossing juggernaut known as Indiana Jones came into The Walt Disney Company’s corporate portfolio along with Star Wars in October 2012, when it purchased Lucasfilm, Ltd. from George Lucas (though Disney wouldn’t obtain the distribution rights to any future Indy film until December 2013, when it came to a deal with the original studio, Paramount Pictures). 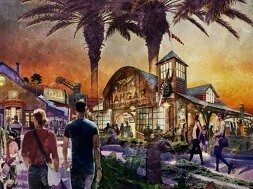 Although Disney has had the whip-cracking archaeologist on the back burner while it got all of its various new SW projects up and running – including the design and, now, construction of Star Wars: Galaxy’s Edge at Disneyland and Hollywood Studios – the corporation is now more than ready to finally pounce on its other pop-culture phenomenon: the still-untitled Indiana Jones 5 was officially announced in March 2016 and has a current release date of July 10, 2020. With a whole new subset of movies now hovering just around the corner, the possibility of expanding Dr. Jones’s theme-park footprint is only the next logical step. Here’s what the rumors currently state: all of DinoLand, USA will be remade into Indiana Jones Land (or should we call it Indiana Jones: Civilization’s Edge? ), with half of the attractions getting a theming overhaul and the other half being razed to the ground and replaced by brand-new experiences. 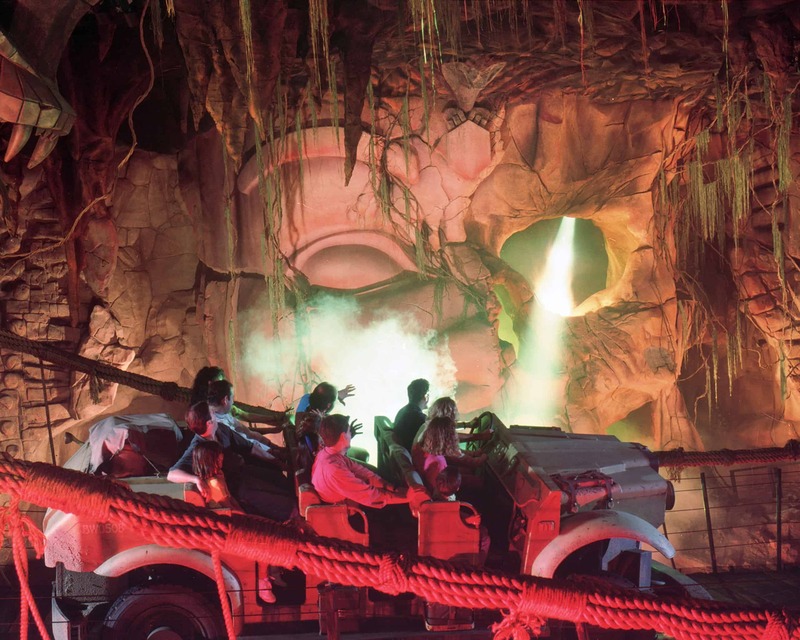 Dinosaur, the area’s flagship ride, is expected to be re-skinned as Indiana Jones Adventure, the 1995 attraction from Disneyland – not at all surprising, given that Dinosaur has literally the same exact ride vehicle and track layout as its Californian predecessor. 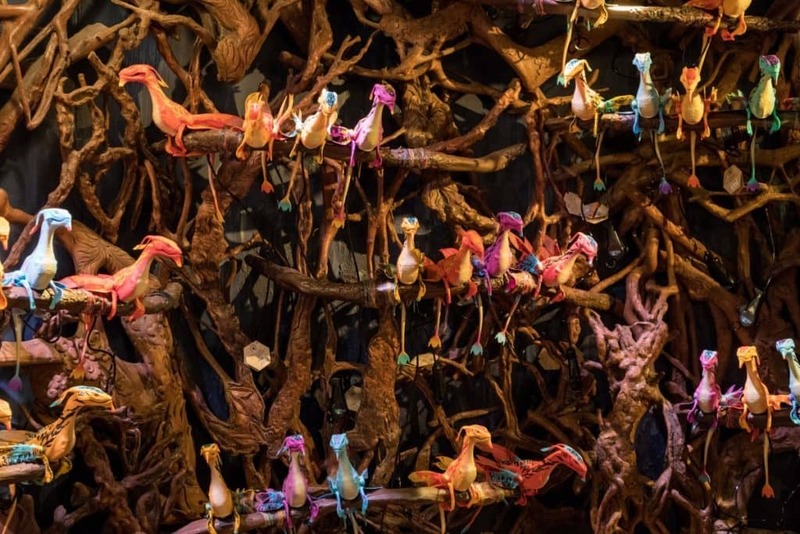 (And lest you think that receiving a clone of a 22-year-old ride is somehow a disappointment, theming aficionados have long been clamoring for this very scenario, considering how impressive both Indiana Jones Adventure’s ride experience and queue are, even when compared against the Wizarding World of Harry Potter’s offerings.) The Boneyard Fossil Fun Site is also currently expected to stay, albeit with the expected makeover into an archeology-themed dig site. That leaves the Chester & Hester’s Dino-Rama miniland on the chopping block; all the real estate that is currently eaten up by both TriceraTop Spin and Primeval Whirl, along with their attending midway games and gift shop (Chester & Hester’s Dinosaur Treasures), could be home to one giant new E-ticket ride, although what, exactly, that could entail is anyone’s guess at this point in time. Something that we do have a (somewhat) better idea of, however, has to do with what can be classified as an expanded experience as opposed to a traditional themed attraction: as we’ve already reported on four months ago, Star Wars isn’t the only IP that Disney’s currently thinking about engineering into a totally immersive, every-minute-of-every-day vacation package that would include a stay in a specially-designed in-park hotel – our sources have said they had heard Indiana Jones specifically being mentioned as another viable candidate alongside the recently-announced Star Wars hotel. Should an Indy Land truly be going into Animal Kingdom, there’s no reason to believe that Disney wouldn’t import the hotel concept over from Hollywood Studios to here, providing a second around-the-clock “Disney 360” initiative. If all this is an accurate accounting of the Mouse’s current thinking, when should we expect to see Henry Jones and his compatriots kicking out the current residents of DinoLand, USA? 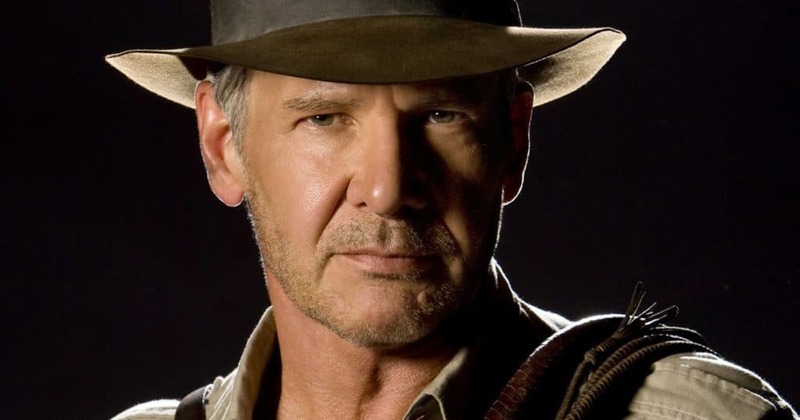 It seems that linking up with Indiana Jones 5 would be out of the question, given that that film is only three years away – and, furthermore, the company will probably want to play it safe and see how audiences respond to the new cinematic outing before committing the hundreds of millions of dollars to a new theme park land, just as it did with the Star Wars sequels (and spinoffs) and Galaxy’s Edge. Our guess is the project, if fully greenlit, would get announced sometime in either 2019 or 2020 (Disney will have had plenty of opportunity to track Indy 5’s excitement levels by then), and then be completed by the middle of next decade – the perfect follow-up, in other words, to the 50th anniversary makeover that Walt Disney World will be getting in 2021. RUMOR: Is Disney making Star Wars, Indiana Jones, & Frozen hotels?